dance.net - Raspberry Scott kiltie (kilt?) 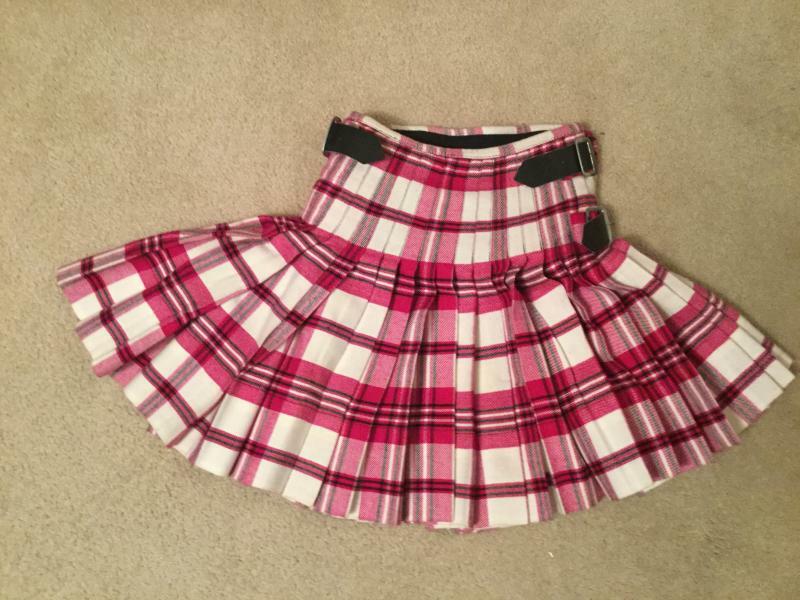 outfit - waist 24 inches, length 17 - $400 plus shipping (10244883) - Read article: Ballet, Jazz, Modern, Hip Hop, Tap, Irish, Disco, Twirling, Cheer: Photos, Chat, Games, Jobs, Events! Locked by Rockladyblue (256838) on 2017-02-18 18:35:11 I submitted it twice. 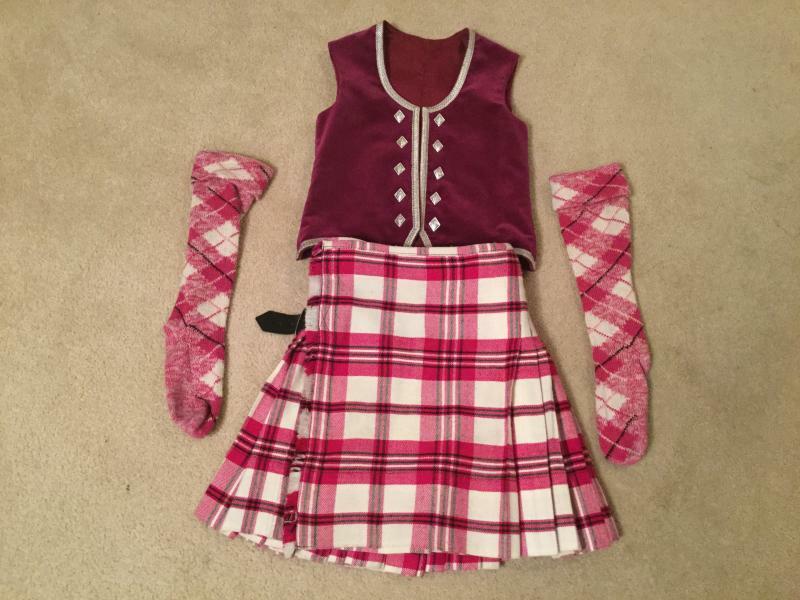 This outfit was worn by our daughter for medal tests when she was 7-9 years old. The kilt/kiltie is quite heavy and very well-made by Scottish Design Tartan (80%acrylic, 20%wool). The waist is 24 inches at its smallest. 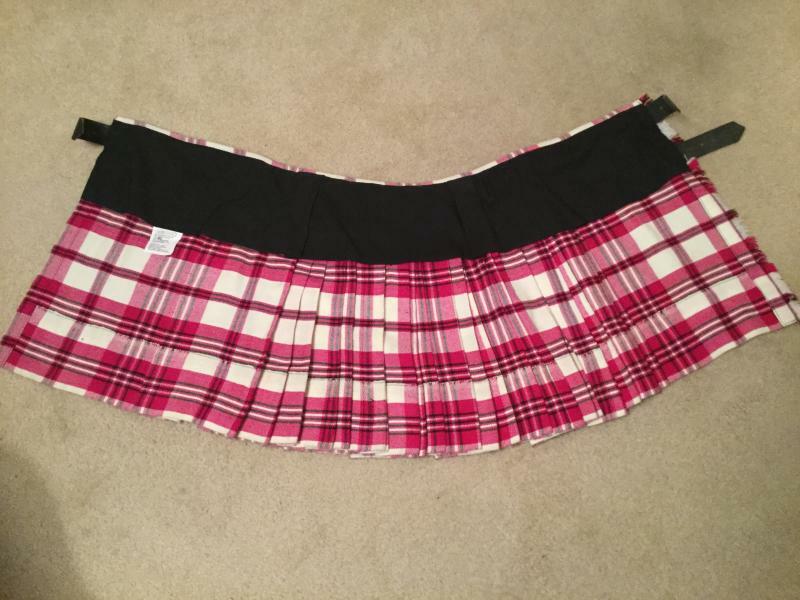 The kilt is 17 inches long with a 4 inch hem. The vest is made of velveteen (I think) and is 18 inches from shoulder to point. It is 30 inches wide at the bust, and it has hooks and eyes to keep it closed. The hose have a heel to toe length of 8 inches and a heel to top of cuff length of 14 inches.